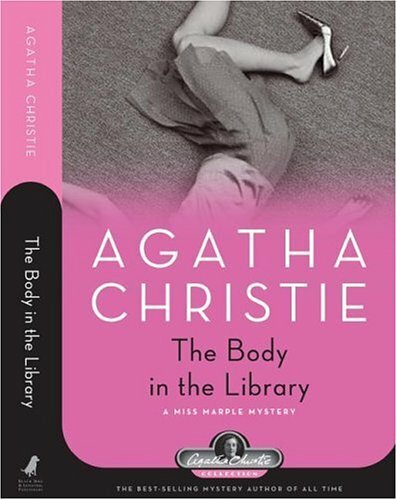 Review: The body of a young woman is found strangled in the Bantry's library one morning. Who is she? Why was she killed? When she is identified as a young dancer at a local resort hotel, the police are mystified. Was a local producer, who is known for wild parties involved? What about the wealthy family the victim was close to? How about the attractive tennis pro? Mrs. Bantry calls in her good friend, elderly Miss Marple to help solve the case. Agatha Christie creates a great mystery novel this time around. I love how Christie writes the Miss Marple books. They are written from the perspective of the police inspectors researching the cases, some of the suspects, and Miss Marple pops up as a secondary character. Of course, our elderly heroine solves the case with her excellent ability read people and situations. This was a great read with several credible suspects and I didn't figure this one out at all.